Ss Philip & James Parish Church is situated in Whitton, on the Whitton and Hounslow border. Built in 1862, we continue to share in the ministry of the Bishops of London and Kensington and the Diocese of London and in the wider mission of the Church throughout the world. A Church of England parish in the Diocese of London, a vibrant and welcoming community of Christian men, women and children which is ever growing. Gathering to worship God in the power of the Spirit, to follow the example Jesus Christ as we strive to serve our community of Whitton. Our worship is modern catholic in style, which is delivered in a friendly, accessible and inclusive way. 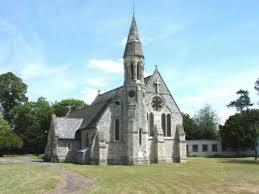 Set upon a wonderful ‘village green’, our Victorian Church is one of the gems of Whitton.